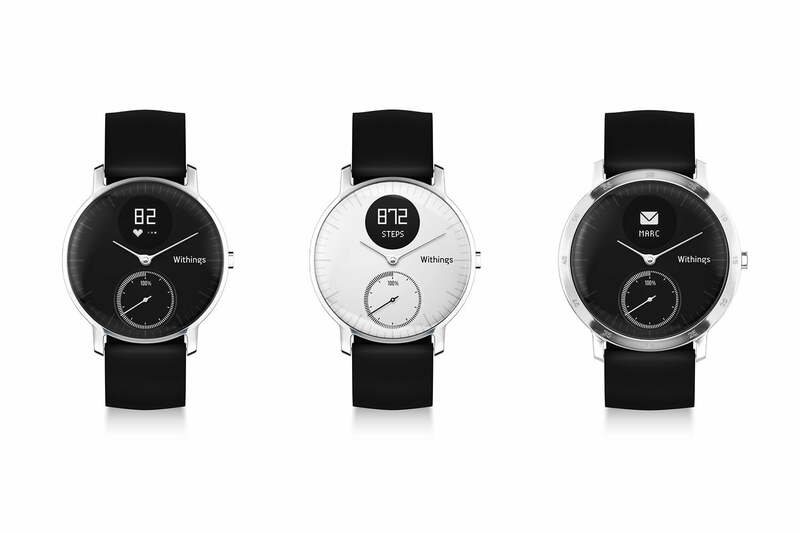 Author’s Note: Shortly after I wrote this review, the Withings family of products was moved under the Nokia name, receiving a new branding treatment and a new app as a result. While my Steel HR Smartwatch has the Withings name on it, the product is now owned and sold by Nokia. I’ve had my Withings Steel HR smartwatch for a little over a month now, and I want to share my first impressions. The Steel HR belongs to the burgeoning “hybrid smartwatch” category, packing some serious smarts into a more traditional analog form. I spent several months resisting the temptation to purchase the Apple Watch. On the one hand, I love data, and I’ve been wanting to keep better track of my health metrics like activity, sleep, and heart rate. I also felt certain notifications (calendars, etc.) would be helpful to my daily routine. However, I’ve witnessed Apple Watch users receive a notification and compulsively stare at their wrist for several seconds, suddenly and completely disengaged from the conversation at hand. While I could philosophize at length on the social implications here, I won’t. Suffice it to say, for me personally, the Apple Watch felt too much like a dystopian digital nanny. I didn’t want to go there. Fitbit seemed like an interesting alternative, but I disliked the form factor. If I was going to be wearing something almost 24/7, I wanted to enjoy seeing it on my wrist. I love, LOVE the styling, which definitely skews more Swiss military than futuristic smart thingie. I’ve gotten many compliments, most of them from people who don’t realize it’s a smartwatch (goal achieved). 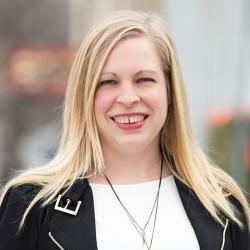 Of crucial importance to me is durability—when I’m not at work, many of my active hours are spent riding horses and managing a small hobby farm: rough and tumble activities which are hard on delicate tech. After a month of abuse, my watch still looks brand new. It is also water resistant to 50m, which has been crucial. It’s great to know that whether I’m relaxing at the lake or (more realistically) bathing a recalcitrant horse, my watch can handle it. The watch’s wristbands are interchangeable. I’ve found the stock black silicone wristband to be comfortable, functional, and stylish for everyday use, but I also purchased a standard 18mm leather watchstrap on Amazon that I swap out. Pro tip: for the heart rate monitoring to work properly, the strap needs to be rather tight—so when shopping for extra bands, look for something comfortable and very flexible. With respect to features, I’ve found the Steel HR to be exactly the right fit for my needs and desires. The device’s design is superb and carefully thought-through. The single subdial on the watch face reflects my number of steps for the day. The black digital screen shows alerts. By default, pressing the crown cycles through date, step count, heart rate, distance, and alarm status. With a recent software update, Nokia introduced the ability to customize the order in which these metrics are displayed, or turn off ones that you don’t care about. This customization is a nice feature. The screen brightness adjusts automatically, or it can be set manually via the app. When a call or message is received, the watch vibrates, and the display shows the name or number of the sender. At a quick glance, as if checking the time, I can tell whether it’s likely something urgent that I should address ASAP, or something that can be safely ignored until I’m ready to take a look. I appreciate this feature. To me, it’s a way to stay present but still have the peace of mind that if a truly urgent communication were to come through, I could act on it right away. The device does have a smart alarm, meant to wake you up at the optimal place in your sleep cycle. I’ve used it a couple of times, and I’ve found that the vibrations may not be strong enough to wake heavy sleepers. It’s a nice feature, but I don’t personally trust it enough to go without a backup alarm if it’s important to get up on time. Previously, I have worn activity trackers that required manually triggering sleep mode. It’s nice that the Steel HR’s sleep detection is automatic. The sleep tracking is fairly accurate, though not as accurate and detailed as the Sense Sleep Tracker that I previously reviewed. I’ve had a couple of nights where it didn’t start tracking until halfway through the night, and there’s no way to go back and correct this data in the app, which is a bit frustrating. 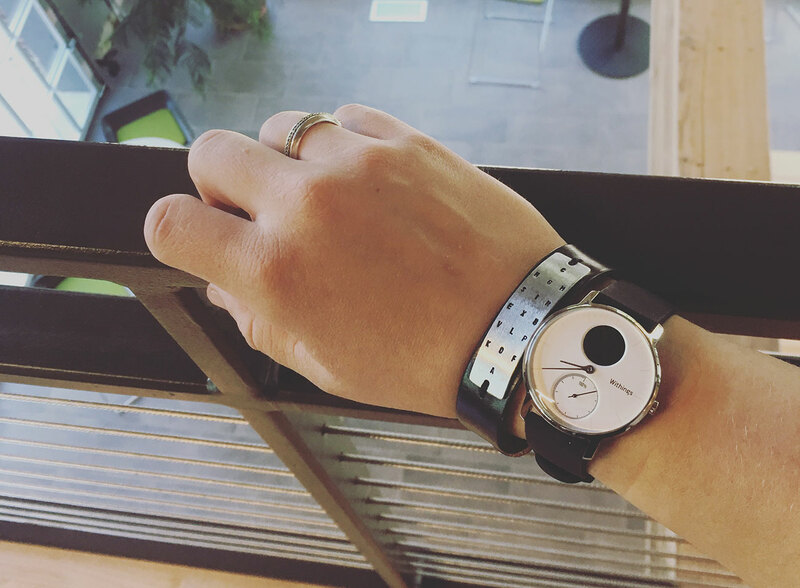 I’ve found the Steel HR’s automatic activity tracking to be relatively accurate for my day-to-day use. It’s generally good at noticing when I’m expending extra effort, whether that’s stacking hay bales on my farm or chasing my very active 2-year-old nephew. However, if you want truly accurate workout tracking with continuous heart rate monitoring, I recommend manually putting the device into workout mode, which is as easy as pressing and holding the crown. Battery life was a huge selling point for me, and the device definitely delivers. Out of the box, the watch went 20 days before starting to complain about a low battery. I love being able to go weeks at a time without thinking about charging it (the way a watch should be!). Charging is quick with the included magnetic charger. Getting it lined up correctly is a bit of a trick, but once it’s snapped in, it holds securely. Overall, the watch is a nifty device, very functional and aesthetically pleasing—a pleasure to wear. But what about the app? 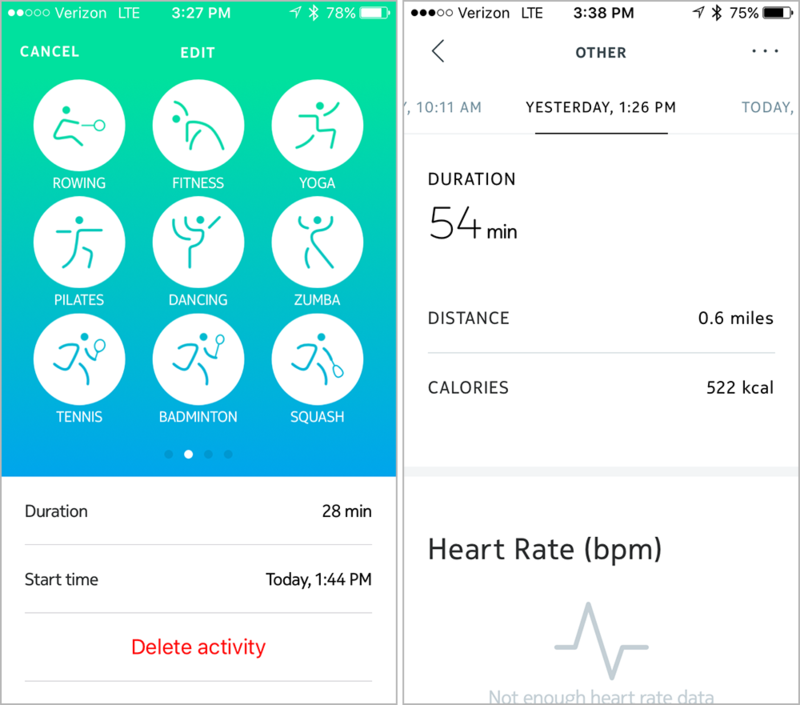 Nokia released a redesigned HealthMate app 3 weeks ago. The Withings app was clearly due for a refresh, with an overburdened information architecture and too many screens that had confusing and overlapping featuresets. It’s clear that the goal of the refresh was to simplify and streamline. 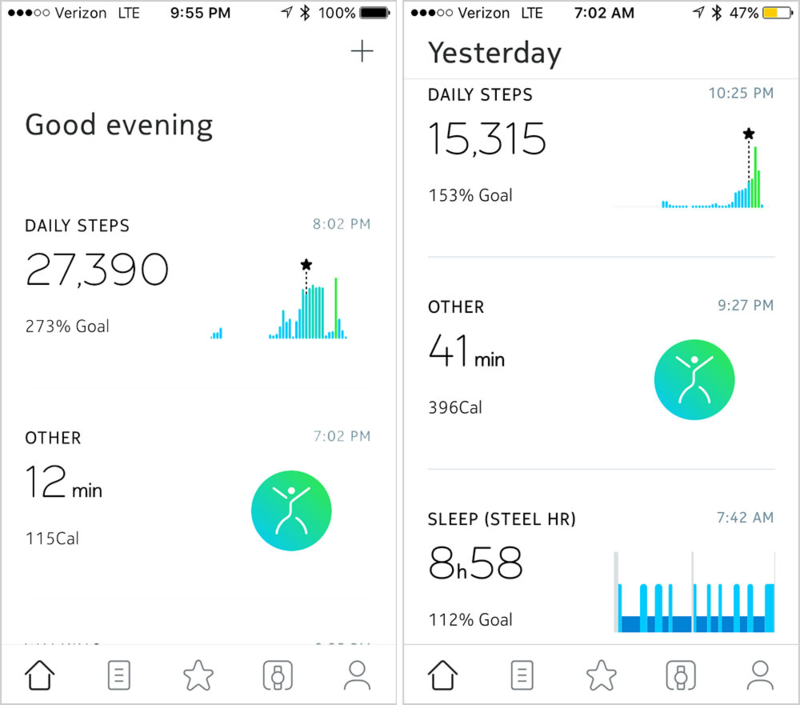 Aesthetically, the new HealthMate app is a treat, putting a bright, minimalist spin on your average health tracking features: take the functionality of Jawbone or Fitbit and wrap it in a clean black and white interface punctuated by blue and green. Blue is used as a fresh but neutral-feeling base color for graphs and metrics, fading to green the closer you get to your goals–subtly indicating success. The most useful feature of the app is the timeline. You can view your data and drill down into various events (sleep, activity, daily step reports, etc.) to see more detail. The aesthetics are clean, pleasing, and easy to comprehend. From experience, I know this is tricky when dealing with this amount of data, so kudos to the Healthmate team. Activity and sleep metrics can be viewed at daily, weekly, or monthly intervals, with useful data visualizations for each. 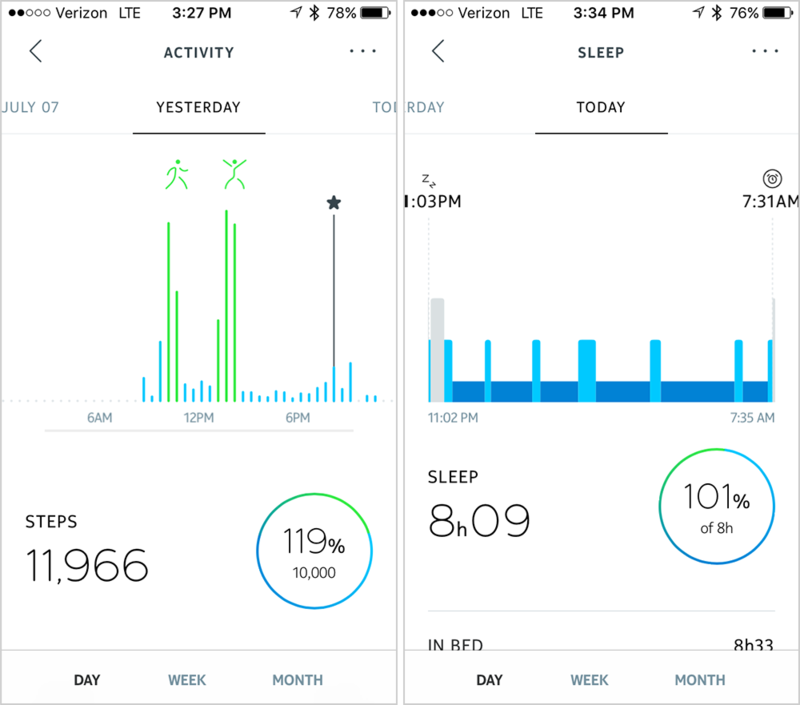 Activity tracking is one area where I would like to see some enhancements. On the one hand, the app allows you to choose from a broad variety of activities, but there doesn’t seem to be much rhyme or reason to the activities offered–they have very granular categories for some (“zumba” and “dance”, “hockey” and “ice hockey”, “kitesurfing”, “windsurfing”, four different racket sports) while other categories are skipped altogether and get relegated to the catch-all “other”. my personal favorite activities horseback riding and sailing are missing, as well as gymnastics, softball, canoeing/kayaking, etc. In the absence of more activity types, it would be nice to be able to annotate or name your activity events (similar to the running app Strava) to include details of a workout. This would help smooth some of the gaps with the activity, as well as allowing users to document more of their fitness journey. Posting workouts and milestones to social media would be an interesting feature space for HealthMate to explore, as well. One other quirk I have noticed is that the automatic sleep tracking isn’t entirely reliable, especially if I have to get up briefly during the night for some reason. In those cases, the app often throws out any data from before I got up, resulting in incorrect sleep metrics. Unfortunately, they don’t offer a way to go back and correct this. For lightweight notifications and everyday activity tracking, especially if you don’t want a techno-thingie strapped to your wrist 24/7, the Nokia Steel HR is a great pick. The new app is promising, and hopefully future updates will introduce additional features as well as increased tracking reliability. The device itself is a reliable, beautiful object—a perfect hybrid smartwatch.